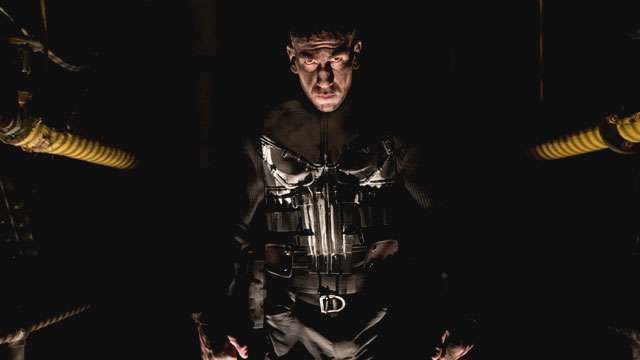 Netflix has finally dropped the first trailer for the premiere season of The Punisher series and it’s not lacking in the violence that Marvel’s vengeful vigilante is infamously known for. The two-minute trailer features Jon Bernthal in the titular role as he mercilessly mows down his enemies to find out the truth on who killed his family. This new series, which was first announced last year, promises to be packed with tons of action scenes that are going to be all about what the Punisher does best: killing and exacting revenge. The trailer opens with flashbacks of Frank enjoying life with his family. One scene shows him teaching his daughter how to play the guitar, while another shows him smiling while his kids ride a merry-go-round. But all the fond memories of his family end with a disturbing flashback of his wife getting shot in front of him. It’s pretty obvious that this painful past will be the Punisher’s main motivation for killing those that stand in his path. It looks like the Punisher is sticking with a modern version of his iconic costume. After the grim flashbacks of his family come to haunt him, Frank gears up with an all-black tactical suit sporting the familiar white skull logo he spray-painted on its chest. The suit is apparently lightweight (probably Kevlar-grade material) and can store all kinds of weaponry like guns, bullets, knives— whatever he needs to annihilate his targets. In the middle of the trailer, Frank reveals that he was part of a covert CIA operation and the man in charge wants him dead. This points to one of the villains in the comics known as Rawlins who will be played by Paul Schulze. He will also have his hands full with both Homeland Security and the FBI on his trail. Despite being in dire straits, Frank won’t be operating solo. The Punisher will get some much-needed help from comics character Micro (Eben Moss-Bachrach), who specializes in advanced weapons tech. In the trailer, Micro asks him to form an unlikely alliance. “You and me, we want the same thing. So work with me.” Frank agrees on one condition: he gets to kill them all. We have both kinds of news for The Punisher’s release date. The good news is Netflix has already committed to a 2017 launch based on the trailer. Unfortunately for fans, the exact release date is still unknown, but it’s going to be really soon so stay tuned.